Close the door on the outside world, escape and replenish your physical and mental self. Modern day life causes stress and tension and affects your well being. Aside from allowing you to be pampered and indulged, beauty treatments enhance your looks and have a major effect on your health. Break away from everyday life for an hour, a day or a weekend. Acacia Beauty Rooms has the added advantage of being situated in the beautiful grounds of Pontlands Park Hotel; with indoor swimming pool, sauna, jacuzzi, steam room and Reflections Café Bar, serving a varied selection of food and beverages, we can cater for all your needs. In the summer months an outdoor, heated swimming pool, jacuzzi and landscaped patio are also available for your enjoyment. Put your life on hold and come and be pampered; warm, comfortable, fresh, clean rooms, dimmed lights, soothing music, and an array of aroma therapy oils. Using only treatments and products of the highest quality, Sarah and her staff make use of an extensive range of beauty and holistic treatments. After completing her City & Guilds in Level 2 Beauty Therapy, Emma started work in an Essex-based salon where she went on to obtain her Level 3 and got to work with skin care ranges like Guinot, Clarins, and Dermalogica. 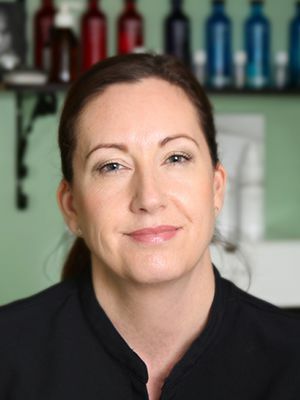 After spending a good few years there and obtaining a wealth of experience in all areas of beauty she decided to take all this experience and put it into another reputable salon – and that brings her to Acacia! Her passion for beauty and always trying to provide her clients with the best possible treatment makes her a valued member of staff. Samantha has been in the beauty industry for over 12 years, qualifying with a BTEC National Diploma in Beauty Therapist Sciences. Beauty was all she ever wanted to do from a very young age! Samatha’s passion is in Facials and Nails. She has trained with all the leading skincare brands, like Elemis, Elemis BIOTEC, Jessica Nails, Environ, Bare Minerals, Aroma Works, MD Formulations, CND, IBD, OPI, CACI, SkinBase and more. Samantha is the Acacia Beauty Rooms machine specialist, trained in IPL, CACI, microdermabrasion and the Elemis BIOTEC range. 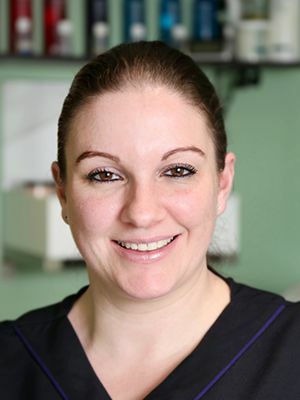 Laura has been a fully trained beauty therapist for 14 years, qualified in NVQ Level 3 Beauty Therapy. 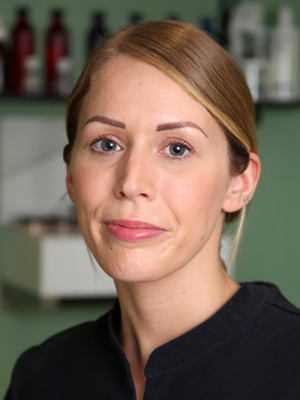 Being our resident head therapist at Acacia Beauty Rooms, Laura is extremely passionate about the profession and is always keen to keep up with latest treatments and products. Laura’s niche is holistic therapy – such as Hopi Ear candles, Indian head massage and facials but she is also our electrolysis Queen! Laura is an Elemis expert – there isn’t a thing she doesn’t know about any Elemis product! She has trained with Jessica Nails, Brows by Mii, Kissed by Mii and Mii makeup, SkinBase and OPI. Sarah qualified in her NVQ Beauty Therapy Level 3, and then went on to study Reflexology, Indian Head Massage and Sports Massage and has been working in the industry for over 18 years. She has trained with many great product houses such as Dermalogica, Jessica Nails, Brows by Mii and Kissed by Mii tanning, ESPA, Clarins, CACI, SkinBase, Aromatherapy Associates, Elizabeth Arden Pro, Elemis and Elemis BIOTEC. 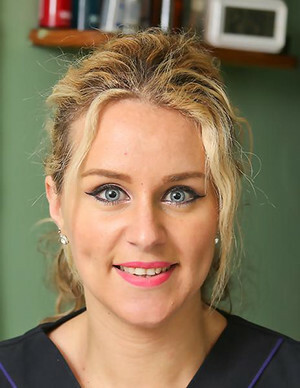 Sarah worked her way to management at a very successful spa and took the leap to set up her own salon and has been successfully running Acacia Beauty Rooms for 15 years now, with the salon going from strength to strength. Sarah’s passion is client happiness and ensuring everyone who visits Acacia Beauty Rooms leaves feeling truly pampered and relaxed! Marissa has been in the beauty industry for over ten years now. She enjoys all aspects of beauty therapy, but her passion is massage and lash extensions. 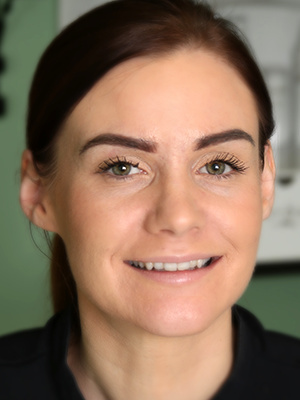 She has been working with Elemis for 10 years, and has a BTEC National Diploma in Beauty Therapy, a Level 3 Diploma in Individual Lash Extensions and a Diploma in Bridal Makeup and Airbrushing. Marissa will be Acacia’s lash artist, and has recently completed her qualification in Russian Lashes.